Home on a Saturday, girlie is out shopping, feel like a rusty El Camino ran over me, so I pulled a box out of the Ikea unit much of my collection is stored in and started taking pics. Hope you enjoy. Most of these are oddballs and sets from when i was in a big collecting frenzy back in 2002 or so. JL Indy Car 2 Packs. These sort of represent the core of my old school Indy fanhood...the STP turbine and one of Rick Mears Indy win cars. Wish they did one of the yellow Pennzoil cars he won in. JDM goodness. Wish JADA and MM was doing stuff like this still, I have a bunch and they’re all awesome. Random Matchbox Coke Madza RX7. Never sure where this fits in my collection since its not entirely boxed and not entirely loose. JC Whitney Shoebox. 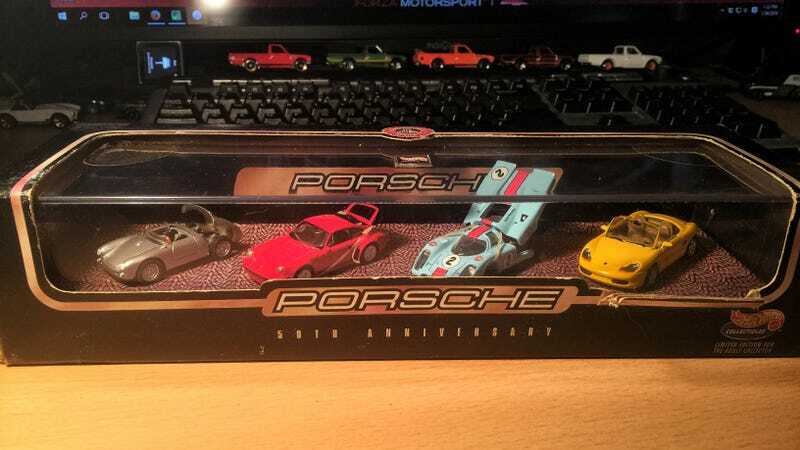 I dont collect many 50s era cars, but I have a soft sport for the Shoebox and have a number of versions. Just got the idea for a modernized custom as I type this. Too rad to pass up at the time. I’ve seen these era Chargers run and they’re amazing in person. Holden. Really cool tampos. Think this was a mail in promo of some kind. I only have a few drag busses, but I also used to love collecting promo models for various companies. I think the Dairy Delivery came with some wax. I don’t buy many muscle cars, but I like snack cakes. HW should do store branded 2 packs again...I have bunch of these from when they were peg warmers in their respective stores. and JL Speed Racer cars. Glad to see that JL is back.